Simply charming! 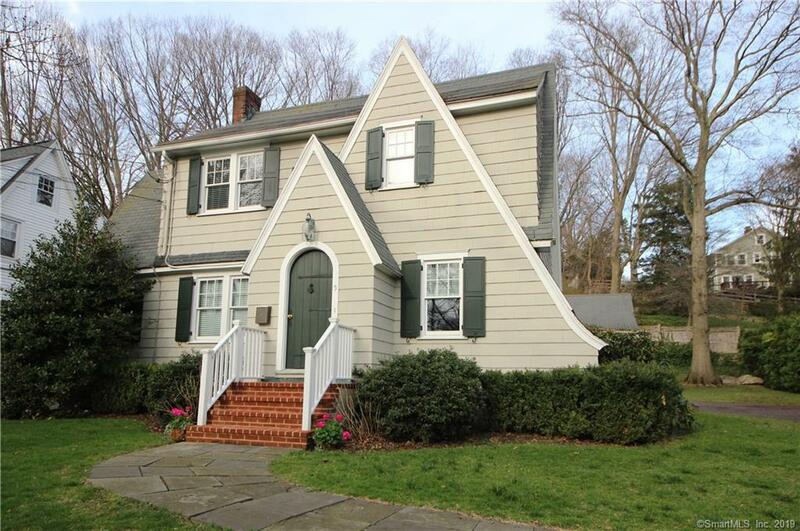 Character abounds in this picture-perfect Colonial in the sought-after Bettswood area. Enjoy architectural details like crown molding, curved archways, and a swinging butlerâs doorâ¦ combined with wonderful updates like recessed lighting, skylights, and zoned central air. Beautiful hardwood floors throughout. This sweet home features a living room with fireplace, plus nearby playroom/office. Master bedroom with a walk-in closet, plus two additional bedrooms and two full baths. Finished lower level with carpeting is a perfect family room or man cave. The spacious and sunny kitchen with white cabinetry and stainless appliances leads to an amazing - truly special - backyard oasis. Enjoy morning coffee on the deck, overlooking a lovely private, landscaped yard with beautiful plantings. Your outdoor entertaining extends to the spectacular stone terrace complete with speakers and lighting. Detached two-car garage provides ample storage. Great neighborhood for trick-or-treating, super-convenient to the local Farmers Market, world-famous Stew Leonardâs, restaurants and Starbucks. Close to 95, train. Easy NYC commute.